A couple months ago I watched a few TED talks by Matthieu Ricard, who researchers at the University of Wisconsin have called the "happiest man in the world". For thirty-five years he's dedicated his life to happiness. He has studied the science behind it, lived it, and shared his experience with the world. Since watching these videos, I've tried to be conscious of what makes me happy, but it wasn't until last Thursday when I became a father for the first time that I understood what it feels like to be the happiest man in the world. After spending some time in Yosemite last fall, I was captivated by Tommy Cadwell and Kevin Jorgeson's attempt to climb The Dawn Wall on Yosemite’s El Capitan. In January, they successfully completed the most difficult free ascent in the world. Art Peck, the CEO of Gap, interviewed Kevin after the climb. While I’m not a climber, and don't aspire to be, there’s a lot to learn as an entrepreneur from their approach. They achieved something that many people thought could never get done and they did so by recognizing the difference between belief and confidence. Years before they attempted the climb they believed it was possible. While it would be a physically demanding climb, they realized it would be even more demanding mentally and they set out to develop the confidence they needed to achieve their goal. It took five years to attain the knowledge, skills, and experience they needed to have the confidence to make their belief a reality. As entrepreneurs, we start out with a gut feeling and a belief in what is possible. The confidence to achieve our goals can’t be assumed and takes time and commitment to realize. How high we set the bar determines how high we’ll climb. As entrepreneurs, I believe we need to carve out a niche. The thing we can be the best in the world at. Our niche will become the rallying cry for ourselves and our teams, and will attract great people and great customers to our companies in the future. Last week I visited Best Made Co. in New York City. They’e taken this idea to a whole new level. In 2009 they set out to build a better ax, and their brand set the bar high. Six short years later they have carved out a niche and have tens of thousands of loyal followers. Every day we’re tempted to settle for good enough. Products that are good enough. Experiences that are good enough. People that are good enough. Good enough will never make us great. And great is the only way to become the best. What if we all assumed goodwill? I’m part of a group called Assume Goodwill. It’s built off a simple, powerful premise that people want to help. By making that assumption, asking for help becomes easier, new ideas flow freely, and obstacles don’t seem as insurmountable. G.L. Hoffman, founder of Assume Goodwill, lives this philosophy throughout his life and I can’t help but get excited about what the world would be like if we all did. If we all surround ourselves with people we respect and assume they are willing to help, trusting they will do the right thing shouldn't be a stretch. Sure, we might get burned from time by time. But if we took all the time we spent putting up barriers to protect against what might go wrong and instead focused that time on assuming goodwill; I’m willing to bet the results will speak for themselves. As I raced out of a parking garage last week, going from one meeting to the next, the attendants big smile and quick wit made me laugh. In the 30 seconds I interacted with him, he brought a little bit of joy to my day and I really appreciated it. My Grandpa used to tell me, “smile, it costs nothing”. It’s so easy to race through the day and forget all the interactions we have with people and the impression that leaves on them. It's a good reminder that no matter who I interact with during the day, it doesn’t hurt to take the extra moment to greet them with a smile. It might just change their day. Over the last 10 years, I’ve read over 2,000 business plans and met hundreds of entrepreneurs. Many have gone on to launch and build incredible companies, others have eventually chose not to pursue their idea. As entrepreneurs, perseverance, determination, and resolve are vital to our success. As I meet with entrepreneurs, how they answer some of my earliest questions sheds light on whether they have what it takes. Have you shipped your first product? Have you signed your first client? Have you raised the money you need? When someone answers “no”, the door seems closed forever. When someone answers “not yet”, it seems like a minor speed bump on their journey to success. Do What You Love (and do it every day). 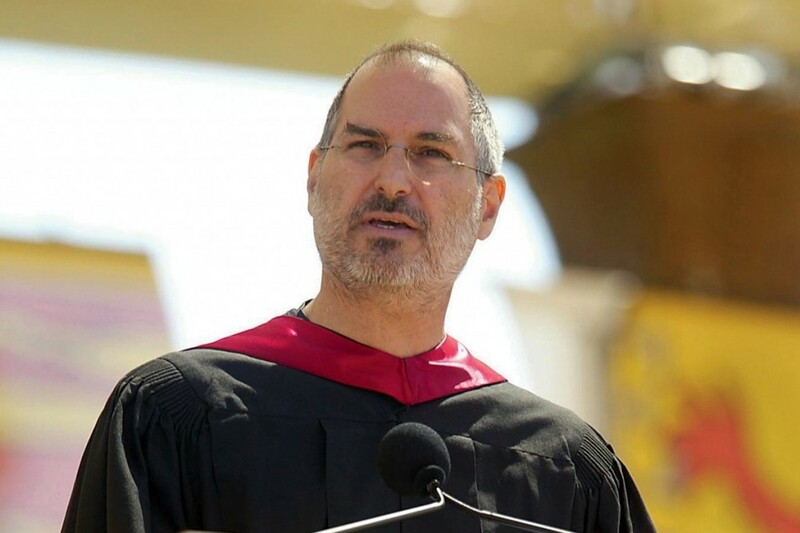 I’ve watched the Steve Jobs commencement address at Stanford several times and always find it inspirational. But its not always been clear to me what I love to do. The days fly by with meetings, emails, and 100 other things. It’s hard enough to come up for air, let alone recognize what we love to do. When I first read the book Traction, I found a simple way to recognize what I loved to do, and figure out how to do it every day. For a week, I kept a sheet of paper on my desk, and every day I’d write down what I did that day in one of 4 quadrants. For me, it turned out I was spending a lot of time on things that I not only didn’t like, but many of them I wasn’t very good at it. Over time, I was able to delegate those tasks and free up more time to spend doing what I love to do. I revisited this process recently, pulled out a clean sheet of paper, and am focused on doing what I love every day. As 2014 winds down, I can’t help but reflect on the last year and look forward to 2015. Fortunately, as I look at my life personally and professionally, I’m excited that the path I’m on is clear. It hasn’t always been as clear, in the past I often struggled to define what I wanted my life to be ‘when I grew up’. This year, I was able to step back and take a 10 week road trip with my wife in September. For 63 days we were able to detach ourself from our ‘real world’ commitments and distractions. Officially, we were celebrating our 1 year wedding anniversary. Unofficially, it turned into a great excuse to turn off our phones, buy a surfboard on Craigslist, and grow a beard. Over the course of 8,400 miles, we had time to talk about what we were grateful for in our life today, and what we wanted to focus on as we build our life together. For me, the opportunity to help other entrepreneurs is one of the things that I’m excited to focus my energy on in 2015 and beyond. As 2015 begins, I hope your able to press pause, find clarity, and begin 2015 refreshed and energized as well. I’ve always struggled with that question. It always feel like I’m being cornered and being asked, “what’s your job?”. Over the last 10 years, I’ve never created a resume, never had a 9-5 job, and my “jobs” rarely felt like “work”. The work I’ve done has been engaging, challenging, and rewarding. I’ve been an entrepreneur. I’m going to find ways to help. If I can get home at the end of the day and feel like I’ve helped someone else solve a problem, find clarity, and strengthen their companies culture. I’d be honored to say that’s what I do.